Despite not being in the business of owning real estate, many companies find themselves having substantial equity tied-up in their real estate. By exchanging that illiquid equity for cash and entering into a long-term structured lease agreement, a business can free up the equity held in its property while continuing to benefit from the use of the assets. AIC Ventures structures our leases on an absolute net basis. A lease is structured so that the business continues to operate as though they own the property. For the duration of the lease, the company remains responsible for utilities, insurance, maintenance, repairs and property taxes. The company is also free to use the interior of the structure with few or no restrictions. As a lessee companies are able to write off their entire lease payment. By contrast, a property owner can only deduct interest and depreciation expenses. A mortgage is limited by a lender’s loan-to-value requirements that reduce the amount of equity available to the company, currently 60-70% of the property value. 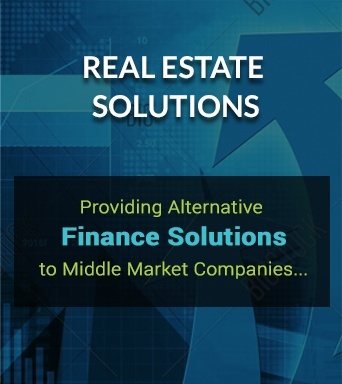 A sale-leaseback provides 100% of the Fair Market Value of a business’s real estate. A company can remain more independent in its operations because a sale leaseback does not require any financial covenants. Banks and other lenders often have multiple financial covenant restrictions. When compared to expensive mezzanine financing a sale-leaseback and cost of rent payments is often cheaper and does not require any collateral to secure the funding.